Vishumati House with the Shivapuri Peak. 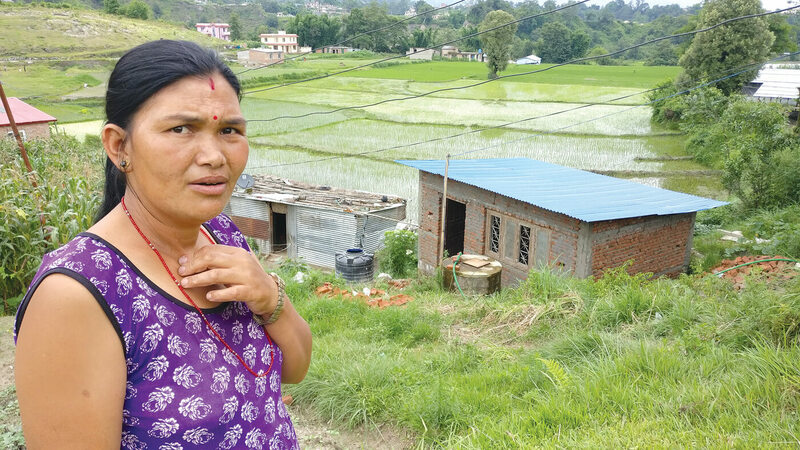 With the privilege of building a house from scratch in Kathmandu Valley comes a sneaking suspicion that in reality it is more akin to an onerous curse. The only land we could afford was way out on the far rim of the Valley, roads were rough, building supplies unreliable, and contractors even more so. 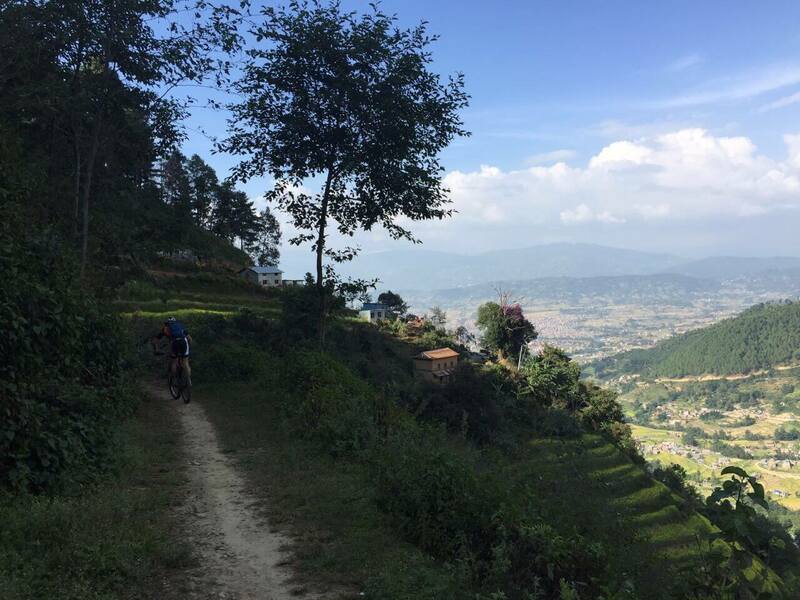 By 1990 Tenzin and I were weary of Kathmandu landlords – something about renting their houses turned the most civilised owners into unreasonable fiends. Sangjay was six and Rinchen at four years old had already lived in four different homes – not that he seemed to mind the endless upheavals. A systematic scan of outlying areas took us on weekend searches down the radial roads that stretch outside the Ring Road. Having scoured the possibilities of Godavari (no sun), Bhaisepati (too far south), Thankot (too many trucks) and Sankhu (too tortuous), we eventually settled on the north, beyond Bansbari. We struck lucky one kilometre past the huge Vishnu who reclines on his watery snakes, sculpted in mysterious black stone protecting the Valley from his Budhanilkantha eyrie, high above what used to be the sacred lake before being drained by Lord Manjushri’s sword. On the hill to the gate of the Shivapuri National Park, accessible only by a dirt lane with no telephone links and minimal electricity, we settled on a series of rice terraces bordered on one side by the headwaters of the Vishnumati River and on the other by a sylvan stream that has long since dried up. Mr Vaidya had the foresight to buy up large tracts along the river, and offered us first choice of whichever plot we preferred. Sheltered by the Shivapuri forest rising behind us, we had no glimpse of white peaks but were compensated by the benefits of all day sun, plentiful water and extensive views south across the entire Valley. Being a thousand feet above the Valley floor, the microclimate kept us cool in summer and warm in winter, sited safely above the chill morning mists that shrouded the view beneath us like the legendary lake, with Swayambhunath peeking above the fog, the mythical floating lotus island with its hallowed blue flame. It was two years before the first sod was turned, if that is the right expression, and two more years to build – no wonder the process is considered a curse. Inspired by the work of Kathmandu Valley Preservation Trust and Goetz Hagemuller’s restorations of Bhaktapur, Patan Durbar and Kaiser Mahal, we were fortunate to have Eric Theophile design the house, but it was the brilliant Rohit Ranjitkar who had the hard grind of supervising the construction and managing all the component parts: brick-layers, plasterers, engineers, plumbers, electricians. Once the building chaos had retreated, Muni Rana helped with the planting. We were very particular to use vernacular architecture and traditional design themes with thick mud mortar and brick walls, local materials and chingati tiled roof. Strengthened to withstand earthquakes, which it did in 2015, we used a minimum of concrete but lots of wood imported from Malaysia. Not everything worked and there have been compromises along the way – loo flushing and water heating is less than perfect, the chimney still smokes, central heating never worked and damp patches persist on some walls. Tenzin complained that one third of the cost of the house went into timber floors and ceilings, but despite all the frustrations we were delighted with the result – a peculiar blend of neoclassical Rana meets Patan Museum Malla Newar, with Tibetan chests and carpets. The newly created spaces and empty rooms soon filled with echoes of family life, permeated with memories of friends and visitors. This month is the 24th anniversary of the auspicious day that we first moved in on 12 November 1994. Since then the boys have grown up and left, the garden and birdlife have flourished, and willow and bamboo cut back to protect the foundations. Generations of family dogs have raced around the lawn, disturbed the flowerbeds and, amidst much grief, been buried in the grove at the bottom of the garden. Other than that, very little has changed. When the earthquakes dislodged a few tiles, caused some superficial cracks in the plaster and separated the veranda roof from the main house, we chose to repair it exactly as before: even the colours we painted the walls did not change. 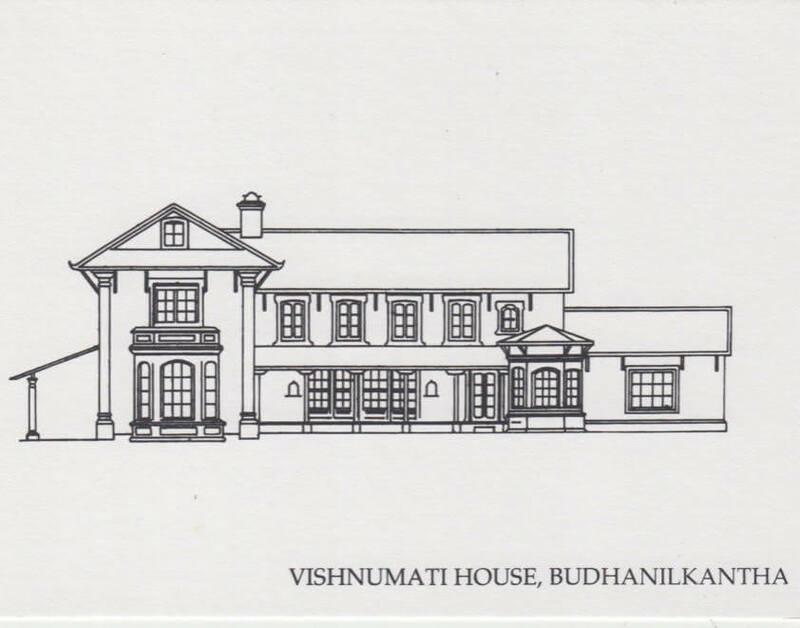 Vishnumati House has stood the test of time for our needs, but we did not succeed in convincing others that it was a desirable architectural model that reflects the glorious heritage of historic Nepal. 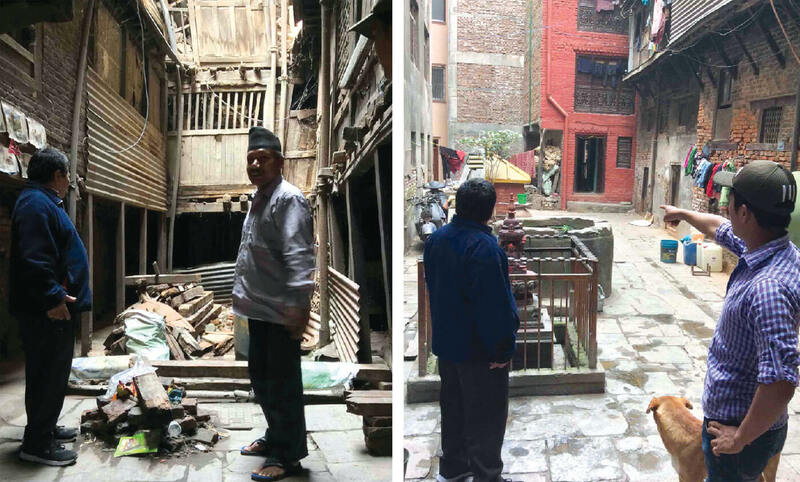 Although thousands have since undertaken the onerous task of building a home in the Kathmandu Valley, very few have attempted to emulate the sublime architectural styles of their Malla and Newar ancestors. 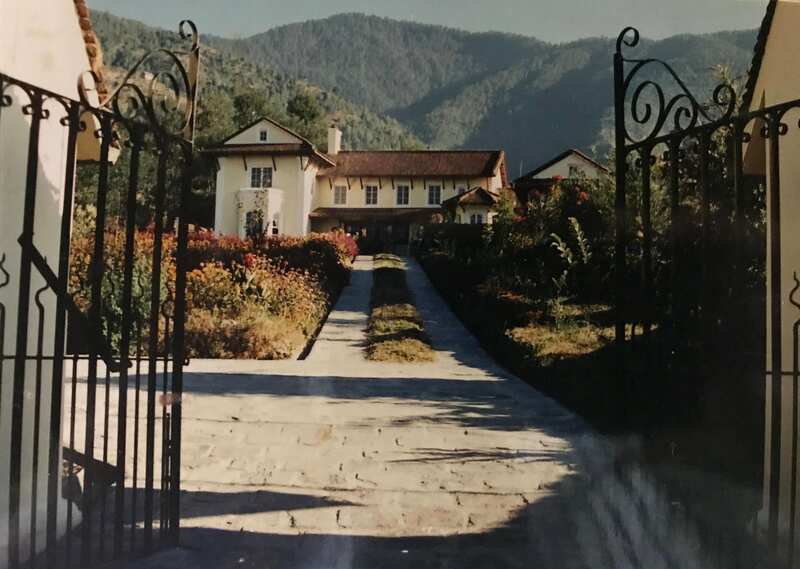 Even our book Kathmandu Valley Style, published in 2008 to celebrate the adaptations of traditional design to modern living in private houses and hotels, has failed to stem the tide of comfortless concrete monstrosities that cloak our once-emerald Valley.